So this past weekend Blue Jays fans watched with much envy as the Boston Red Sox claimed their fourth World Series title in fifteen years. As if watching a power packed, payroll driven Boston team go right to the top was not bad enough, we witnessed not one but two previous Blue Jays players rise to glory amongst it all. David Price came to the Jays in 2015 with all the hype that followed LeBron in Cleveland. He was the savior, the chosen one to lead the Jays to new heights and new possibilities. With all the hype came high expectations from fans and management alike. Price delivered. He gave us a stellar start to the season going 9-1, in 11 starts for the Jays with a 2.30 ERA. 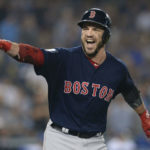 He had a rough time in the playoffs for the team and just like that he was gone; signing a mega contract with Boston in the off season (I know the Jays could not compete with the price tag and I am sure many of us were glad that they did not). His playoff struggles continued in Boston and most Jays fans relished in the deliciousness that was watching Price struggle in the post season for a few years (revenge is sometimes sweet). All that faded on the mound with the victory in Los Angeles on October 28. 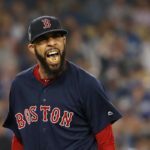 Price had the monkey off his back and Jays fans had to swallow some bitter reality. Price was back, and his team was a lot better than ours. Price was difficult enough to watch. Steve Pearce was a whole new bitter reality. I am sure most Jays fans are left scratching their heads now wondering “what could have been” with Steve Pearce. I know I am. Did we let a stellar player get away during that fateful trade in June 2018? Did we give up too soon on Pearce? Looking at the results many could argue yes we did. Toronto had to make room on their roster and had to realign their leading first baseman considering the way Justin Smoak began to heat up followed by surprising contributions from Lourdes Gurriel Jr and others infielders on the roster. Pearce had gone 23-for-79, including four home runs and 16 RBIs, in 26 appearances with the Blue Jays in his last season; he was a highly used utility player that played both in the outfield and at first base. He gave us a great season that was cut far too soon. Yes he was older than some on the roster and yes the Jays had to make changes, it was inevitable. BUT COME ON! I know we cannot keep all of our favorite players around forever, but watching him lift that World Series MVP trophy caused me to consume one too many Bud Lights on Sunday! There is no denying that Pearce stepped up for the Red Sox on their way to World Series victory. He contributed to every game and he saved the very best for last on Sunday. He literally made his way into the record books. Sunday’s ceremony made Steve Pearce just the second mid-season acquisition in the history of baseball to win the World Series MVP. He is also the first Series MVP with 50 or fewer career regular-season games played for his team at the time of the Fall Classic. So this left me wondering what would have been? What could have been? Alas, here we are as another MLB season is put to rest and we look optimistically to next year. I can say that I am jealous over the success of Price and Pearce. I can also say that I am joyful to see two esteemed players rise and become victorious even if they are in the wrong uniform. And I can say that they truly deserved to win it all. I just hope that next year the Blue Jays will be in a similar situation. Alicia Legge was born and raised in the province of Newfoundland and Labrador. She is a mother, an activist, and a sports enthusiast. 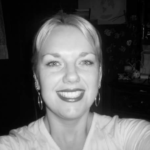 Graduating with a Bachelor of Arts in English Literature and Folklore in 2003, and a Master of Arts in Folklore in 2009, she has worked the majority of her life in the not-for-profit sector in various fields from sexual health to senior care to tourism.